Because I was born with a physical disability, I’ve never been good at throwing or catching a ball or running or jumping or anything else that would qualify as athletic, but when I was a kid, baseball was therapy for me. I collected baseball cards, and in the fifth grade, I embarked on ambitious letter-writing campaign to my favorite major league players. I’d send them my baseball cards and politely ask them to send me back an autograph. To make it easy, I included a self-addressed stamped envelop. Dozens of major leaguers responded, and I amassed an enviable stash of memorabilia. In the seventh grade, while I was recovering from an orthopedic surgery, I spent afternoons swinging at tennis balls thrown by major league pitcher Russ Springer, one of Alexandria’s hometown heroes. During the off-season, Russ and I went to the same physical therapist; I was a part of his routine, and he was a part of mine. And sometimes, my younger brother and his friends would let me play baseball with them in the neighborhood pick-up games they staged in our front lawn. I may have been a terrible player, but I knew more about the game than any other kid. They respected me, which meant they struck me out every single time I went up to bat; regardless, I loved every second of those games. Baseball has always been a passion of mine, and truth be told, I probably had no choice: It’s in my blood. My father and his father both grew up playing the game. My second cousin Jodie White is known in my hometown as “Mr. Baseball.” My great-grandfather, Frederick White (with whom I share a name), helped to build Bringhurst Field, Alexandria’s minor league park, back in the early 1930s. I didn’t just grow up in a baseball family; I was born and raised in a baseball town. In the late spring and early summer, Alexandria’s Little League parks were the biggest draw in town. You were lucky if you could find a parking spot. 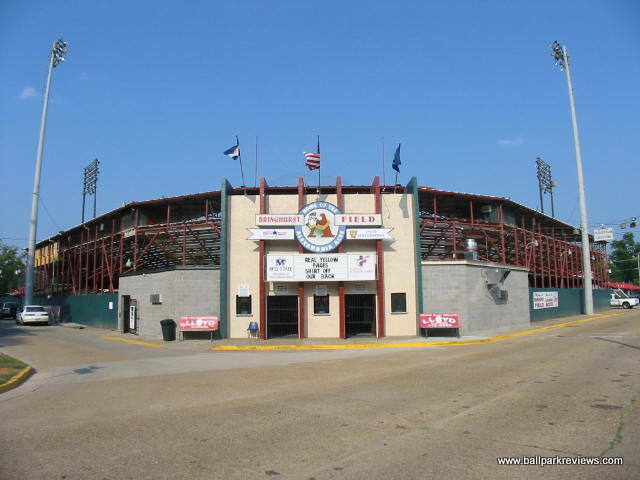 In 1994, the City of Alexandria renovated Bringhurst Field, and for the first time in nearly twenty years, the Alexandria Aces took the field. My dad bought us box seats, directly behind the Aces’s on-deck circle, and for nearly four years, we went to every game we could. I was there when the Aces won a league championship in 1997, and I was there again for their championship season in 1998. We were good, but even when we lost, it was still fun. Minor league baseball games need to be about more than baseball, and for a few years, the Alexandria Aces seemed to recognize that. Aside from the year Michael Jordan played for the minor league team in Birmingham, the players have never really sold tickets; the experience sells tickets. The Alexandria Aces could offer an experience that no other minor league park in the entire country can offer: Only Wrigley Field and Fenway Park are older than Bringhurst. But to get people there, you have to sell the whole experience: Good food, good beer, good music, comedy, contests and prizes, and maybe even some fireworks at the end. I spent the last three days back in Alexandria, and like many, I was alarmed to hear on KALB that the City was proposing a tax that would be used to demolish Bringhurst Field. I knew the Aces have been struggling for years, and I knew that the ballpark itself is dire need of repair. I worked for Mayor Jacques Roy for more than five years, and in that time, I learned, first-hand, that he is one of the fiercest proponents of historic preservation in the American South. At his direction, I helped plan and organize two different regional summits and multiple community meetings that largely focused on the issue of historic preservation. Under his leadership, for the first time ever, Alexandria now employs an historic preservation director. A few years ago, we commissioned a master plan on parks and recreation programming, which was adopted by the City Council. If anyone at the City had ever endorsed tearing down the historic baseball park my great-grandfather had helped to build, I would have known, and I probably would have called them out. KALB’s story, in other words, made no sense to me. My friends and former colleagues at the City of Alexandria may not say it, but I will: KALB’s reporting on this issue is a textbook example of journalistic malpractice. They based their entire report on speculation posted on a Facebook group called “Save Bringhurst,” and despite the fact that, today, the group’s spokesman, Adam Lord, told KALB he was “on the same page” as the City administration, KALB continued to inaccurately report the City is considering a proposal for demolition. This is simply untrue, and if KALB is to maintain any credibility in the future, they should immediately retract and correct their egregious misreporting. After KALB’s most recent report, I spoke with both Adam Lord and Daniel Williams, and both of them, independently and separately, told me that their interviews with KALB had been selectively and severely edited. In my opinion, it borders on outright deception. Contrary to KALB’s report, the City didn’t “clarify” its position; the City’s position has never changed. KALB got tripped up in a lie, and instead of admitting its mistake, they doubled-down and put the blame on public officials. According to Mr. Williams of the City of Alexandria, he told KALB reporter Brooke Buford, more than once, that the City was never and had never considered “demolition” of the historic baseball park, and according to Mr. Lord of Save Bringhurst, he made it abundantly clear to KALB that he supported passage of a dedicated parks and recreation tax, which would provide $3.9 million toward the restoration of Bringhurst Field. Mr. Lord acknowledged there was some confusion about the language of a draft document the City released in connection with the tax measure, but that after meeting with administration officials, his group’s concerns had been properly addressed and resolved. KALB edited out these comments from their report. If KALB had taken the time, like Mr. Lord did, to actually learn about the issues, they would have learned that there was no serious proposal to transform Bringhurst into a water park or an aviary or even a parking lot; the City simply disclosed a series of broad ideas pitched during the recreation master planning process. If they are to be faulted for anything, it’s for being too transparent about what was pitched. The plan and the vision, all along, has been to preserve the baseball park, which is precisely why they believe in dedicating $3.9 million for the project. I applaud Adam Lord and all of those who believe, like he does, that Bringhurst Field is worth saving. I also know, beyond any doubt, that Mayor Roy and his entire administration want to preserve this historic treasure. And that’s why I think it’s important to be so strong about KALB’s shoddy reporting: The only way we can guarantee Bringhurst Field’s future is by ensuring there is a sustainable, dedicated source of funding for parks and recreation programming. Yes, that may mean Bringhurst Field is no longer, exclusively, the home of a struggling semi-professional baseball team; it may mean Bringhurst becomes something even bigger: A venue for high school tournaments and concerts and weddings and special events. It may mean the City consider multi-purpose uses. It may mean leasing out space for a restaurant. At the very least, it’s all worth considering. Right now, it’s collapsing in on itself. But, because of KALB’s irresponsible journalism (which has been picked up by other sources), a tax call that was intended, among other things, to save Bringhurst could be defeated as a result of the misinformation they have repeatedly peddled as fact. Alexandria deserves a jewel like Bringhurst Field, and KALB owes those who truly care about preserving Bringhurst an apology. I’ve been covering my hometown news for nearly a decade, and I’ve never been more ashamed of and embarrassed by the local Alexandria media than I am today. The tax call protects more than Bringhurst; it ensures that the Alexandria Zoo no longer needs to rely on utility fund transfers to subsidize its operations. It ensures that children have the opportunity to participate in after-school basketball, soccer, golf, and tennis programs. It provides the community the resources it requires to maintain all of its numerous parks and walking trails. And it’s all desperately and urgently needed. It’s not all about baseball, but again, baseball is in my blood and right now, my blood is boiling. 1. Reconstruct the stadium’s facade with as much original material as possible. Install terra cotta roof that ties thematically to the neighborhood, and conforms stylistically with design features at other city facilities. 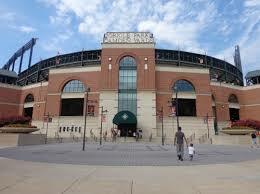 See: the entrance of Camden Yards. 2. Install public art at the main entrance and at the first and third base entrances. (Issue an RFQ). 3. Reconstruct the stands to ensure they are safe and ADA compliant. 4. Demolish the back fence. Add outfield, stadium-level seating for right and left fields. Maintain centerfield as an open grass field with potential water feature (and which could double as stage). Relocate bullpens in front of raised outfield seating. 5. Significantly upgrade bathroom facilities. 7. Relocate clubhouses behind outfield fencing. 8. Lease out existing clubhouse facilities for year-long restaurant enterprise. 9. Develop and enforce design guidelines for commercial signage. 10. Consider corporate naming rights. 11. Construct stage for musical performances near third base. 12. Develop programmatic synergies with the Zoo. I am more than open to additional ideas, and I know my friends at the City feel the same way. 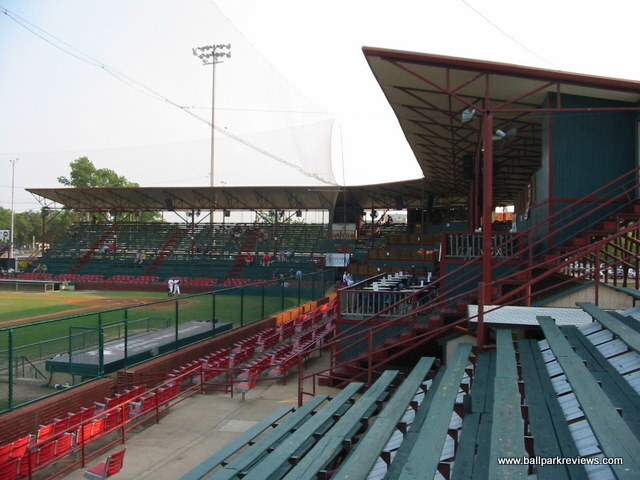 You seem to have a great plan for the preservation and renovation of Bringhurst Field. I would love to see the facility upgraded as I have some wonderful memories at the park. Do you have a ballpark figure, sorry I couldn’t resist, how much your proposal would cost? If it’s economically feasible, it would bring this wonderful site back to life.